Romany joined Whitelaw Twining in 2012, following beginning his career in Ontario. 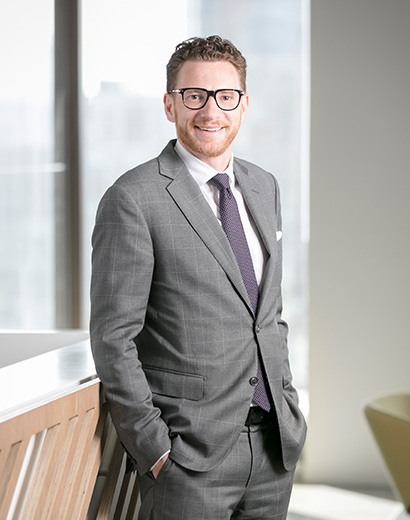 His practice is geared towards professional negligence, construction, retail risks, insurance law and contractual law disputes. He has represented professionals in a variety of disciplines, with particular focus on real estate and design. As a senior associate at our firm, he mentors young lawyers and is committed to seeing them grow and thrive in their careers. Romany aims to resolve matters for his clients in the most efficient manner possible, including through informal negotiations and formal mediations. When resolution can’t be reached that way, he advocates for his clients either in summary trials or full trials, diligently preparing to get his clients the best results. His courtroom experience includes successfully appearing in all levels of court in British Columbia, including the Court of Appeal, and in the Provincial and Superior Court of Ontario. He also has successfully appeared before several tribunals in British Columbia and Ontario. Romany completed the cooperative legal education program at the University of Victoria. This allowed him to intern with a corporate law firm in Bangkok, Thailand and he had a four-month placement with the Federal Crown in Vancouver. A true Vancouverite, Romany is a Whitecaps, Canadians and Canucks fan. He hits the surrounding mountains on his skis and snowboard in the winters and enjoys mountain biking, road biking, golfing (badly) and hiking in the summer. Past Chair, Products Liability Section, Canadian Bar Association, B.C. Romany has contributed to and written articles and papers on contribution and indemnity claims in professional liability actions, products liability matters, Sale of Goods Act claims, retail risk matters, discovery issues, professional liability and construction issues. While in Ontario, Romany wrote a number of articles on the topics of civil litigation and insurance issues.